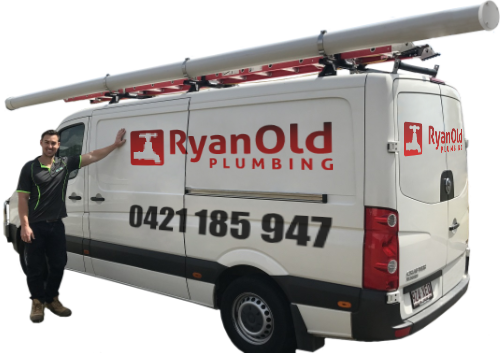 Ryan Old Plumbing offers comprehensive leak detection services throughout Brisbane. Our experienced plumbers will find the leak using the latest leak detection equipment, uncover the cause and, provide practical, efficient solutions to resolve the problem. Is your water meter ticking over even though no taps are on? Do you have patches of lawn which are always muddy? Are there trees or shrubs that are growing much faster than those around them? Do you have area’s of concrete that always seem damp? Are there stains or paint bubbles on your ceiling or wall? Do you have mould growth on the walls or ceiling? These are all indications of a leak in your water pipe or drain pipes, delaying repairs allow significant damage to occur. Contact our leak detection team today. State of the art leak detection equipment – We utilise new, state of the art technology to ensure accurate, reliable results. Using the Acoustic Leak Detector we can locate leaks everywhere, including under concrete or pavers. Comprehensive testing – We still use traditional tests such as Hydrostatic Pressure Testing, Flood Test, Static Testing of waste line, and visual inspections of taps and spindles. These tests have proven to be very reliable, employing these methods we are able to identify the cause and location of any drain or pipe leak. Highly-experienced plumbers – Technology and tests will not work without experienced plumbing professionals conducting them. Ryan Old Plumbing plumbers fully licenced and have years of experience using specialist equipment and carrying out leak detection test. Moreover, should you decide to have the leak fixed by our team after the test, you can be sure that our plumbers can do it with both efficiency and quality. Whether the leak is under a concrete slab, in a wall, garden or under the tiles in the bathroom, we can find the leak for you by combining high-tech equipment with knowledgeable plumbers and comprehensive testing methods. Older methods of finding water leaks include randomly digging into your lawn/garden, cutting into concrete nonspecifically, or removing several pavers just to visualize the leak. These procedures are tedious and involve unnecessary work which can now be avoided. With today’s advancement in technology and the availability of Acoustic Leak Detectors, there is no need to dig to get answers. No need to destroy your perfectly manicured lawn or beautifully patterned driveway just to find a leak. Our leak detection specialists can efficiently find the leak for you to save time and money. Leaks inside the house are always troublesome. Leaks can cause damage to plasterboard, ceilings, timber, flooring, and cabinets. At a larger scale, they can even cause the whole house to shift/move. We have seen a house with cracks in concrete walls due to concealed leaks in pipes. Any suspected leaks inside your house or building should be attended to as soon as possible to avoid unnecessary and costly repairs. To uncover a potential leak in or under your home we use a series of tests to identify the cause and location of the leak. This test is conducted to see if the water line will hold pressure. A drop in pressure at a specified time confirms a leak. This is performed using a fluorescein dye mixed with water to trace leaks through waste lines. The waste line is plugged off and the shower tray is filled with coloured water to test the condition of the waterproofing. This is a very simple test but is highly effective. The tiles and screens are flooded with water and if water shows in the affected area, then it will confirm a leak. This is one of the most important indicators when uncovering a leak. A meticulous inspection of the taps, spindles, pipes, toilet cisterns, drains, and other plumbing fixtures around the home is vital in identifying the area of concern. It is our aim to provide extra value for our service and expertise. Therefore, after completing the inspection at your property, a detailed report with photos taken during the tests will be generated. This will include our conclusion and recommendation to repair the leak. If you suspect you have a water leak in or around your home or business, do not hesitate to contact Ryan Old Plumbing at 0421 185 947 or book online using our leak detection test booking form.